Enoch and Nick RPG so hard. Sword Coast Legends is out in just a few days on PC, the D&D based game is a classic RPG in every sense. 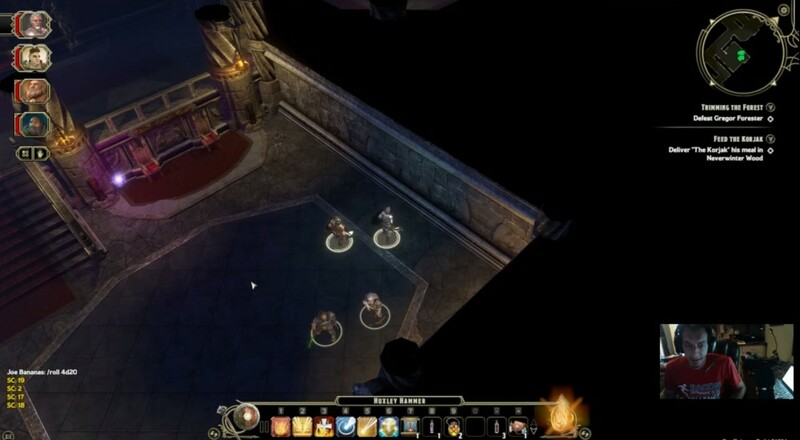 But there's something Sword Coast Legends offers that we haven't seen to this level before, and that's the ability to have a live DM play alongside a party of four players. The DM is capable of adjusting just about anything in the world, telling a carefully crafted story to the players of their choosing and asking players to roll to decide certain in game events. Player driven content is going to be a huge piece of Sword Coast Legends alongside it's meaty single player campaign making this one of the largest games content-wise we've likely ever seen. Last week we jumped into a custom campaign written by n-Space Community Manager Ash Sevilla. You can see the outcome of that below in our stream re-cap. Page created in 0.2381 seconds.